During a job search, having an impactful résumé is imperative. It sells your abilities, accomplishments, professional traits, and establishes the match between you and the open position. Properly written and creatively presented, it will differentiate you from other job seekers. Below are 12 common and some not so common résumé mistakes that are easily avoidable and can help create a positive mental impression of you in the mind of the HR recruiter or hiring executive. 1. Not proofreading your document. Having spelling and grammatical errors can be fatal. For example, a recent candidate’s spell check program did not pick up a critical error. His résumé inadvertently included the word collage (a piece of art made by sticking different materials such as photographs and pieces of paper or fabric onto a backing) instead of college (an educational institution). Proofreading your résumé is mandatory. Have someone unfamiliar with your résumé read it carefully to check homophones (words having the same pronunciation but different meanings), run-on sentences, appropriate use of apostrophes and plurals, capitalization, and the correct use of verb tenses. The very first impression of you that a résumé sends is its appearance. It must be easy-on-the-eyes, have a straightforward flow, and capture the reader’s attention. Use a font between 10 – 12 points with larger name and category headers. Include sufficient white space and be consistent when laying out categories. 3. Listing job duties rather than achievements. It’s your job to show evidence of how you have gone above and beyond. Recruiters and hiring managers appreciate achievements supported by hard data. Tell the HR recruiter what you do, then prove to them that you are good at it by listing your achievements. Responsible for sales to end users via company website. #1 Sales Rep – outperformed closest representative by 44%. Exceeded outbound calling expectations by 60%. The before example reads like a job description. Being responsible for sales to end users is the job duty of every sales representative. The after example gives scope, comparing this individual to both other sales reps and the team’s goal expectations. Dig more deeply into your job duties. How have you made money, improved a process, or boosted your team’s performance? Then put it on your resume! Keywords are nouns and phrases that HR Professionals use to search their Applicant Tracking Systems (ATS) databases for résumés that match job requirements for job openings. Ninety percent of large companies use applicant tracking systems to search for qualified candidates. Position Titles, Target Jobs, Industries, Skill Sets, Company/Employer Names, Specific Universities, Degrees, Licenses, Certifications, Software Experience, Location: Area codes, City/State Names, and Soft Skills (for example communication and interpersonal skills). You can find keywords within job postings, job descriptions, LinkedIn Profiles, and O*NET. Jobscan is a useful site that allows users to paste text from a job description and their résumé and then calculate a score for keyword matches. Include links to your social media (LinkedIn and other professional websites). Your full name, your street address (optional), city of reside, zip code, and your phone number(s). Include a professional e-mail address, omit the lazybeerdrinker@email.com. Employers say inappropriate email addresses can make all the difference in whether they call the candidate for an interview. 6. Including an objective statement. The objective statement has fallen out of favor with employers. A résumé is not the place to tell an employer what you want, but rather to sell yourself on how you can benefit the employer. Instead of an objective statement, use an introductory or summary section to capture interest and set the tone for those who are making decisions about you. Include your experience, skills, and career accomplishments. You will want to highlight 3-5 of your greatest strengths that relate to the next job you are seeking. 7. Not including a title statement. Why include a title statement and why modify it for each job? A title helps with identification and tracking within the hiring company. In a smaller company where they don’t do much hiring, identification may not be an issue. In a larger company, your information may be distributed to several HR associates and hiring managers. A title helps with applicant tracking system (ATS) recognition. It’s another chance to help you identify with the exact position you are applying for. Having the exact keyword on your résumé is especially crucial for new graduates who may never have held the role they are targeting. It’s a bit covert; you’re adding the role (keywords) even though you haven’t held that job – the computer doesn’t know the difference. 8. Neglecting to include a skills section. While not all résumés contain a skills section, including one may be helpful when you want to emphasize the abilities you have acquired from your various jobs or activities that relate to the position you are applying for. Listing skills, competencies, and strengths also helps strengthen your keywords. 9. Lack of a showcase section. Statistics show HR and hiring executives generally spend between five and ten seconds when first looking at a résumé. A showcase section appearing at the top third of your résumé capitalizes on this limited time. Use this section to boast your most formidable professional selling points – achievements, expertise, and product knowledge – the powerful elements of your background that differentiate you from others. 10. Irrelevant or outdated information. Anything not relevant is muddling up your message. Hiring managers and recruiters are busy, if your résumé is not crystal clear on the job you are targeting and what your focus is, hiring managers and recruiters will place you in a category (which may be incorrect) or worse yet, not know where to place you at all. Most job seekers only need to list 10-15 years of experience. Covering more than 15 years of work experience may give the appearance that you are older than you are and even overqualified. Cut out long descriptions from roles that are over five years ago. Omit certifications, training classes, and professional affiliations that are no longer significant. If you held a role briefly that doesn’t fit with your career narrative, consider trimming it to make room for other accomplishments or cutting it out altogether. 11. Not matching your LinkedIn profile exactly. Not aligning your résumé and LinkedIn profile creates problems for both. HR recruiters get suspicious when a résumé represents one thing, and your LinkedIn profile another – especially when it comes to dates of employment. 12. Length is too short or too long. The standard rule for most résumés is no more than two pages. Properly written and formatted, most professionals can create an informative and impactful résumé within this two-page standard. Longer résumés tend to be poorly formatted or become “career narratives” which are laborious to read. One-page résumés may be appropriate for new grads and early-career job seekers. Brian Howard, J.D. is a Certified Career Management Coach (CCMC), a Certified Job Search Strategist (CJSS), a Certified Professional Resume Writer (CPRW), an actively practicing executive recruiter, and President of The Howard Group. 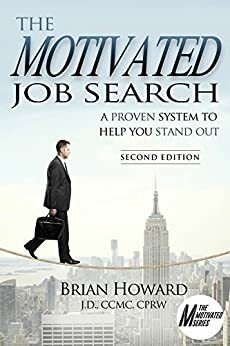 He is the author of the Motivated Series of job search books which include The Motivated Job Search (2nd Ed. ), Over 50 and Motivated, The Motivated Networker, Motivated Resumes and LinkedIn Profiles, and the soon to be released book, The Motivated College Graduate. Paula Christensen, is a Certified Professional Resume Writer (CPRW), Certified Career Management Coach (CCMC), and a Certified Job Search Strategist (CJSS). Paula combines experience as a Resume Writer, Career Coach, and Former Recruiter to help clients identify their strengths and unique values to make them more marketable. She was recognized with a résumé writing award last year by Career Directors International as part of their annual Toast of the Resume Industry contest (TORI Award). She was awarded third place in the New Graduate category. Paula will have sample résumés and career advice included in two Spring 2019 publications; The Motivated College Graduate and Resumes for Dummies.